Thursday evening's entertaining Copa del Rey quarter-final first leg at the Bernabeu swung back and forth, but Real Madrid came on strong late for a 4-2 win which makes them favourites to progress after next Thursday's second leg at Girona. Gareth Bale finally found the net for Real Madrid, ending his goal drought and leading his team to an easy victory over Huesca on the road at Estadio El Alcoraz. Real Madrid coach Santiago Solari has disputed Cristiano Ronaldo's claim that the club lacks humility. Ronaldo told Gazzetta dello Sport this week that Juventus, the club he joined for €100 million in July from Real Madrid, is "more humble and more of a family than Madrid." Asked about Ronaldo's comments, Solari said in Tuesday's news conference ahead of Madrid's Champions League home encounter against CSKA Moscow: "Humility is a virtue of the greats. 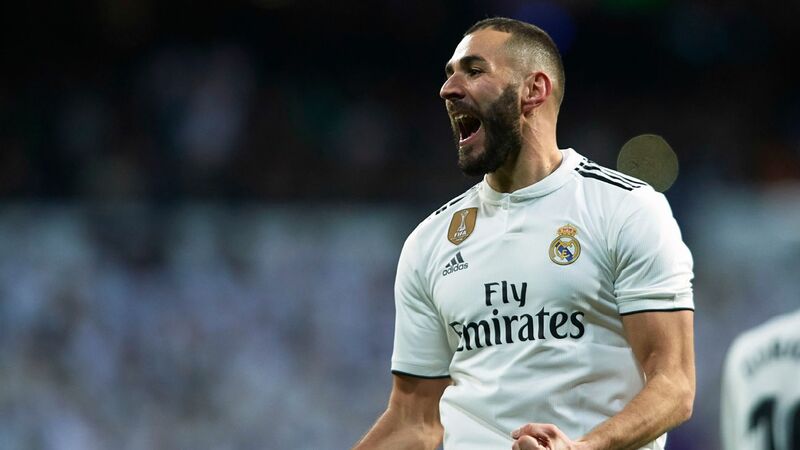 Santi Solari's fourth and final game as "interim" Real Madrid coach saw his side again nowhere near their fluid best, but battle through to a fourth consecutive win, with the 4-2 result mostly down to a tremendous centre-forward performance from Karim Benzema. ESPN FC's Stewart Robson explains why Real Madrid should explore other options before making Gareth Bale the focal point of the team. New Real Madrid signing Alvaro Odriozola says that the chance to join the Bernabeu outfit from Real Sociedad was impossible to turn down -- just like being offered a trip to Disneyland as a kid. Odriozola, an unused squad member with Spain at this summer's World Cup, has joined Madrid for a fee of around €40 million after coming through the ranks at La Real and impressing over the last 18 months at his hometown club.